65 cm wide (2 cm gap between teeth). 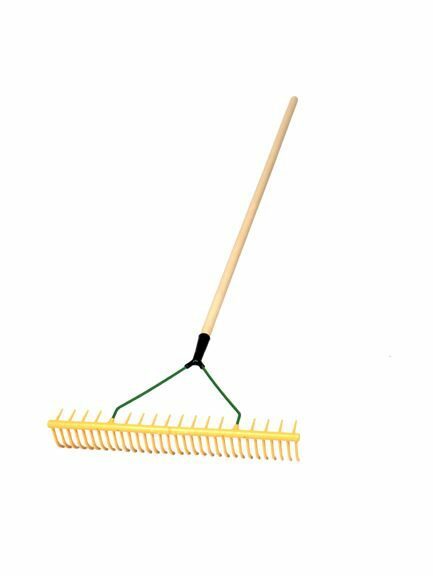 Self-cleaning leaf & grass rake with back supports to allow debris to build up on the rake. When full, lift and turn and the debris will fall cleanly away from the rake into the wheelbarrow or trailer.